Asphalt paving creates a pristine driveway in front of your home. However, harsh winter weather can do a number on your driveway, which can be inconvenient as well as costly. The following steps will help preserve your asphalt all year long. Cracks in your driveway can easily spread thanks to the freeze-thaw cycle. Accordingly, it’s best to schedule asphalt paving repairs at the first sight of any cracks and crevices. Professional repairs can make your asphalt look like new, as well as prevent worsening effects. Cracks and potholes are not only unsightly, but they can also damage vehicles and potentially cause injury to your loved ones or visitors to your home. Along with the damage caused by freezing and thawing, salt can also ruin your driveway. While it’s important to ensure your vehicle has traction, too much salt will degrade asphalt over time, and it may also have a detrimental effect on the surrounding environment. Monitor how much salt you use or opt for a salt-free de-icer, such as sand. Also, clear your driveway of snow on a regular basis to prevent accumulation. 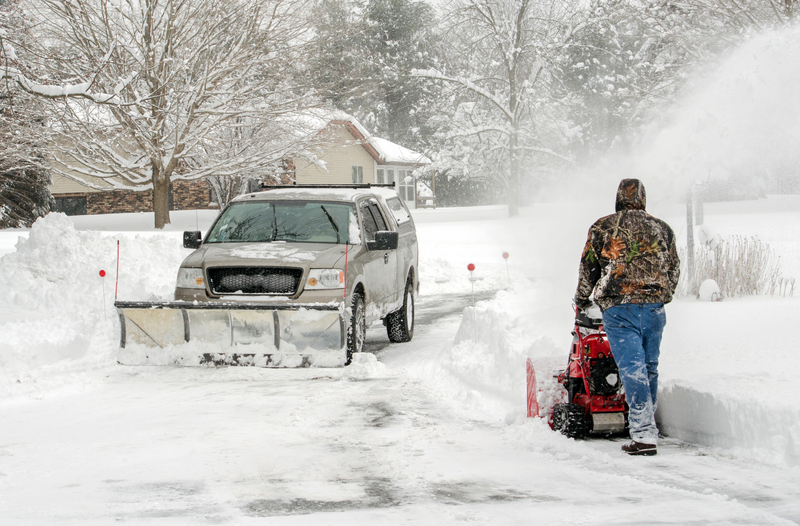 While plowing is a fantastic way to remove snow from your property, doing it incorrectly can actually damage the underlying asphalt. Instead, consider having a professional plowing service come to your home or business. They reduce the chance of an issue occurring, which saves you a hefty repair bill. It also ensures your driveway is properly cleaned, which will extend its life span. Proper asphalt paving is the first step to keeping your driveway intact during winter. Musson Brothers offers more than seven decades of asphalt paving and excavating experience, both for homes as well as businesses. They also offer snow plowing during the winter months, trucking and hauling, site development, and many other vital services. Call (715) 365-8700 to schedule service in Rhinelander, WI. If you’d like to see the full listing of services, feel free to visit them online.